Book Size: 5.5 X 7.5 in. 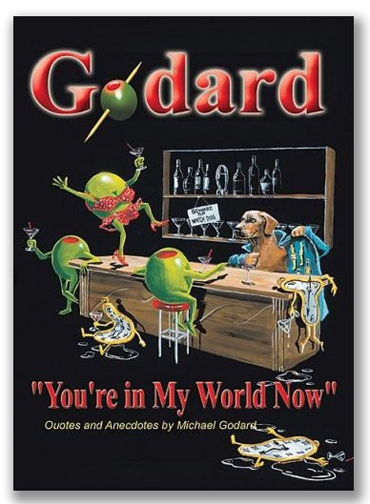 "You're in My World Now" is a fun new book from Michael Godard featuring quotes from the very quotable Martini King! Color photos and photo-collages, tidbits and goodies for Godard fans everywhere.